The Korea Kindergarten Association on Monday ended the postponement of the start of the spring semester for private preschools across the country. The KKA had declared that the starting date of the spring semester would be further postponed in protest of the government’s reform plans. Preschools were scheduled to open Monday, but the KKA’s protest ended after a day in the face of backlash from parents and the government. 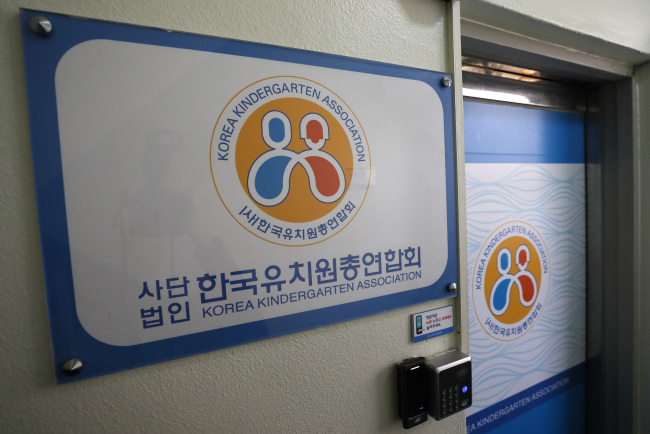 In a statement released under the name of KKA chief Lee Deok-sun, the association apologized for causing concerns to parents, but reiterated claims that planned government measures will jeopardize privately run preschools. “(The KKA) has requested kindergartens to start the semester from tomorrow,” the statement said, saying that postponing the semester further was considered unbeneficial. “Maintaining independence and ensuring survival of private preschools is impossible if the proposed revisions to the three kindergarten laws are passed as they stand,” the statement said, referring to proposed revisions to acts concerning education of young children, private schools and school meals. The revisions were proposed last year following revelations that corruption, including embezzlement, was prevalent in many privately run kindergartens. The statement also said that despite the KKA’s efforts to resolve the matter through dialogue with the government and the ruling party, negotiations were impossible, and its decision to postpone the beginning of the semester was within kindergartens’ legal rights.